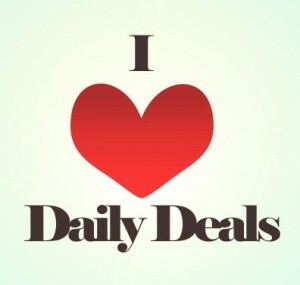 Is Using A Daily Deal On A Date Unacceptable? 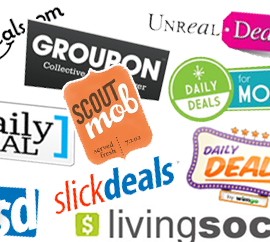 Is it OK to use a daily deal, like Groupon or Livingsocial, on a date? Sounds like just another question added to the long list of dating dos and don’ts. Once your relationship passes a certain point, it is, or undoubtedly should be, acceptable to whip out a coupon for buy one entree get one free or $20 for $30 worth of food. At that point, both parties have probably invested a fair amount of time and money into the relationship and have some level of concern for each other’s well being, therefore a meal on a budget is no problem. However if you restrict the situation to the first, or even first few dates, it may be a glaring turn-off and could end all likelihood of a next date. After spending some time scouring the internet, the general feedback has been pretty split, 50/50 , which aren’t great odds considering your date hasn’t even started. So let’s focus our attention on college students, a demographic that is well documented as not having much to work with on the financial front. Regardless of the fact that dating in college is not as common today, one on one intimate interactions that cost money are inevitable and someone has to pay. Unfortunately, when it comes to using a daily deal, it’s all about the situation, and like dating at other ages, there is no real answer. While it should be more accepted, it is not guaranteed to be permissible. Aside from being of the gender that traditionally pays for first dates, as well as a recent college graduate, I take great pride in my ability to score worthwhile and rewarding deals and therefore find it completely acceptable to use a deal on a date. Moreover, I would relish the opportunity to show off and share the bounties of my hard work and savviness with my partner for the evening. If going to happy hour for food and drink specials is appropriate, why can’t someone appreciate the effort and foresight/overlook the thriftiness of purchasing a deal? Furthermore, if I’m using a deal, I am much more likely to enjoy myself not worrying about overspending. Not to say that I would ever prevent a date from ordering the most expensive item on the menu or asking for another drink, but I would be much happier (and enjoyable to be with) knowing the entrees were covered or that I only had to pay for 20% of the bill. Now for the execution. Here are a few ways to go about using a deal on the first date. This will take some feeling out on your part and I do not recommend these strategies if you aren’t 100% committed. I must also mention that they do not guarantee anything and even if they are executed to perfection, you still may not get a second date. 1. Be upfront – If you haven’t decided where to go, let your date know that you have a deal at a particular restaurant. Try not to make it clear that the deal is specifically why you want to go there, but realize there is no harm in presenting it as an option. That gives your date the opportunity to cite any number of reasons for not wanting to go there and eliminates any awkward conversation. If you end up going to the restaurant and using the deal, don’t be self conscious about it, but at the same time, keep it on the down-low. 2. Choose a good deal/date – If the deal and date are awesome, your date will probably forget, or not care, that you saved money on the event. For example, if you save a few bucks on a movie and pizza, you should probably save the deal for another time. However, if you just got 2 for 1 tickets for a 3 hour dinner cruise on a pirate ship or 63% off skydiving then your date will probably be fine with it. 3. Covert Operation – If you’re sneaky, you can roll the dice on this money-saving mission. Flag down your waiter on your way to the bathroom or when your date is up from the table and inform them you are using a deal. Make sure you let them know that you’d rather your guest not know and also include that while you may be pretty low on cash, you still plan to tip on the pre-discounted bill. This is a high risk, high reward way to play the deal card on a date – if your date finds out your keeping financial secrets literally within the first few hours of of the relationship, it probably won’t go over well. In fact, once you think it’s time to tell your partner that “funny story” about the time you used a deal on the first date, wait 2 more years.